A series of tests conducted over several years by scientists at the University of California San Diego focused on better investigating the effects of this chemical. They have shown for the first time that Sivanto, developed by Bayer CropScience AG and first registered for commercial use in 2014, could in fact pose a range of threats to honeybees depending on seasonality, bee age and use in combination with common chemicals such as fungicides. A honeybee forages on flower. Starting in 2016, after reviewing documents describing Sivanto’s risk assessments, the scientists conducted several honeybee (Apis mellifera) studies investigating effects that were not previously tested, particularly the behavioral effects of chemical cocktails, seasonality and bee age. 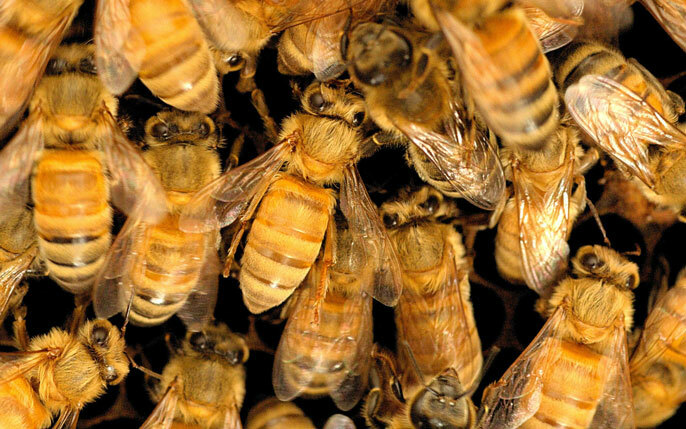 The scientists provided the first demonstration that pesticide cocktails reduce honeybee survival and increase abnormal behaviors. They showed that worst-case, field-realistic doses of Sivanto, in combination with a common fungicide, can synergistically harm bee behavior and survival, depending upon season and bee age. Bees suffered greater mortality — compared with control groups observed under normal conditions — and exhibited abnormal behavior, including poor coordination, hyperactivity and apathy. A summary of abnormal behaviours caused by pesticides on honey bees. For more details, see Tosi and Nieh's 2019 study. The results are troubling, the researchers say, because the official guidelines for pesticide risk assessment call for testing in-hive bees, likely underestimating the pesticide risks to foragers. Honeybees have a division of labor in which workers that are younger typically work inside the colony (in-hive bees) and foragers work outside the colony. Foragers are therefore more likely to be exposed to pesticides. Are Argentine ants a threat to honeybees?